VISIIR - Dataset Explorer - Top 50 Most Delicious Grilled Cheese Sandwich & Panini Recipes (Recipe Top 50&#39;s Book 3) - Kindle edition by Julie Hatfield. Cookbooks, Food & Wine Kindle eBooks @ Amazon.com. 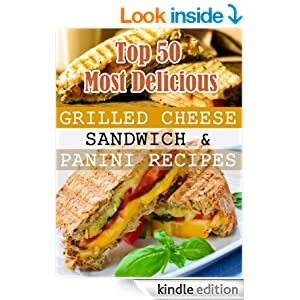 Top 50 Most Delicious Grilled Cheese Sandwich & Panini Recipes (Recipe Top 50&#39;s Book 3) - Kindle edition by Julie Hatfield. Cookbooks, Food & Wine Kindle eBooks @ Amazon.com.